Grave marker for Walton E. Plunkett in Fletchers Chapel United Methodist Cemetery (Yazoo County), Mississippi. Pvt Plunkett transferred from the Third Replacement Depot to Company F, 508th PIR on 13 February 1945. 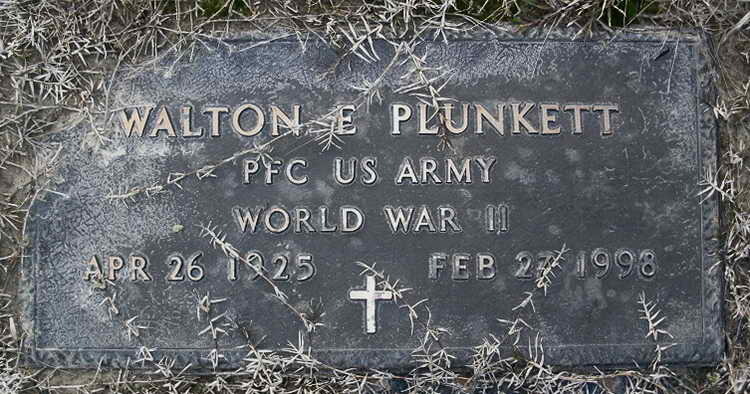 The date of his initial enlistment is unknown but Pfc Plunkett did re-enlist on 16 My 1946.